We are a small, family run garage on the B3227 at East Anstey between South Molton and Bampton near Tiverton offering quality used cars, vans and 4x4s. We offer car sales, servicing, repairs, tyres, exhausts and welding. 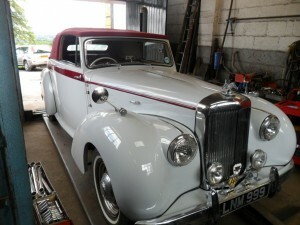 MOT preparation to all makes of vehicle and we have a loan car for your use. Take a look through our stock list and see if we have what you are looking for, if we don’t, we may be able to find something to suit you. All vehicles are fully valeted, serviced and MOT’d before you collect them (unless stated otherwise e.g. part exchange bargains). Our warranties are for 3000 miles or 3 months – whichever is soonest and extended warranties are available up to 12 months. We service most makes of vehicles!